Kulwan: Cleaning of Streams for free flow of water to the paddy fields. Daavok: Scarcity of water during the paddy season. Dhamalfaqir: A group of men performing village shows. Tschinch: A group of men visiting village-to-village killing cats for fur. Devispath & Goorinar: Name of paddy fields. 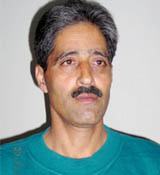 *Chander M. Bhat Born on 20th March, 1960 in Murran a village in North Kashmir, Chander M. Bhat is presently working as an Assistant Supdt. Posts, in Department of Posts, Govt. of India. His articles regarding Posts and of non-political nature stand widely published in various papers and magazines of the country. A booklet “How to Collect Stamps” published by the Deptt. of Posts, has earned him genuine accolades. He worked on the project of tracing the roots of his co-villagers and of the village Murran, resulting into the culmination of a widely acclaimed book “Murran …My Village”. Man with depth, Chander M. Bhat has also another book, “Ocean by Drops” (collection of poems) in his vase having colourful poems. 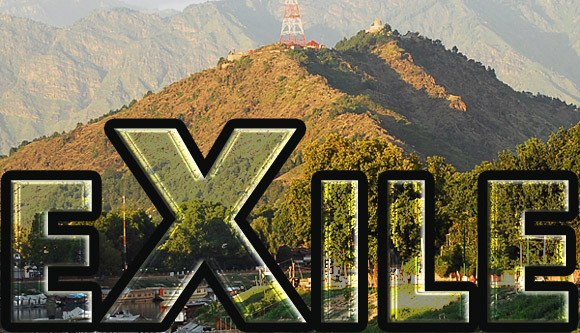 His book “Ancient History of Jammu and Kashmir”, confirms his researching capability. Various research papers like “The Splendor that is Amarnath” and “Vitasta…The Sacred River of Kashmir” are valuable additions to his works that has proved very fruitful and guiding force in the exile period of Kashmiri Pandits community of which the author is also a member. The poem is heart touching one and I think Kashmir is a teardrop on the cheek of the author. Beautiful blank verse with deep pathos about the Paradise Lost by Kashmiri Pandits. Very nice! Each word bleeds with deep nostalgia. It's the voice of every KP. God bless you! A heart touching poem. The poem reminds me the days in the Paradise of Kashmir. A beautiful poem by a beautiful person.